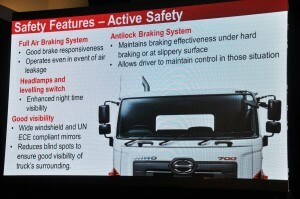 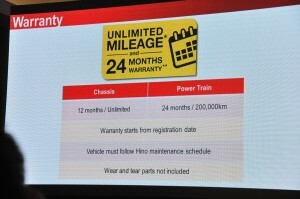 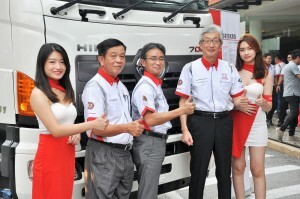 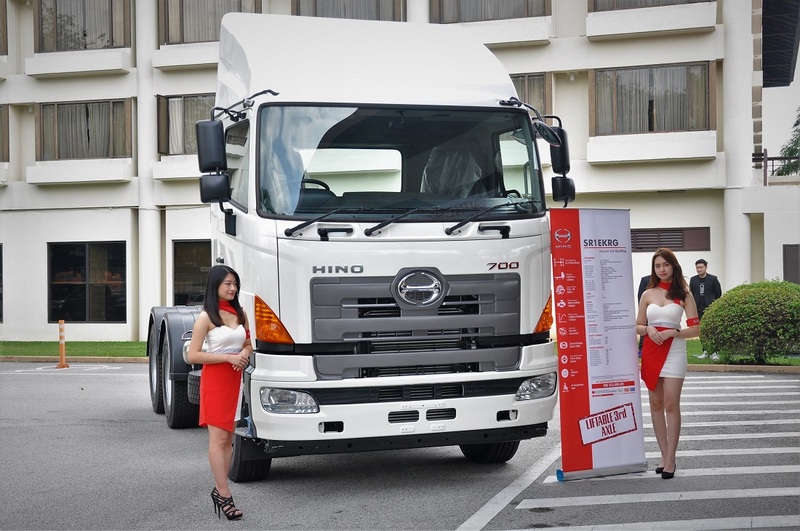 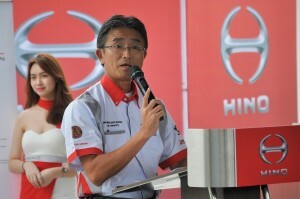 Hino Motor Sales (Malaysia) Sdn Bhd (HMSM) has launched the latest variant to its SR1E 700 Series Prime Mover range. 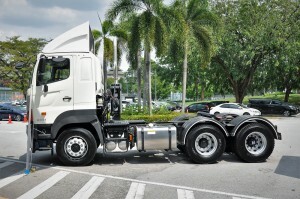 Called the SR1EKRG (a real easy name to remember right? 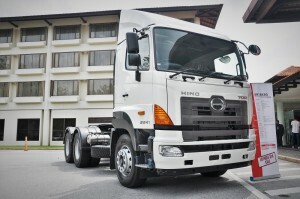 ), this is a 6×2 heavy-duty truck that joins a 4×2 as well as a 6×4 prime mover in the existing range. 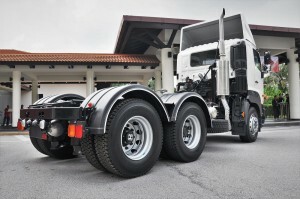 The 6×2 axle configuration means that engine torque is transmitted to only a single drive axle, as opposed to both rear axles in a 6×4 truck. This new SR1E 6×2 prime mover model is introduced to Malaysia based on the demands of the logistics and distribution sectors which require sustainability and cost-effectiveness. 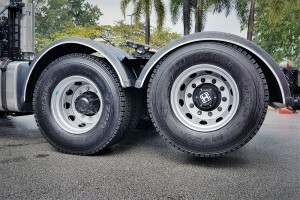 With a 6×2 axle, the SR1EKRG have fewer components compared to a 6×4 and thus are not only lighter, but have fewer moving parts that require maintenance. 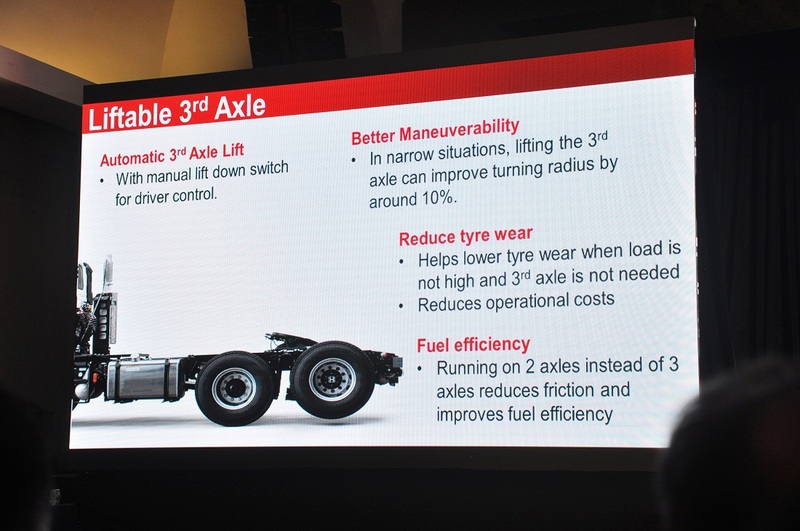 The lift-able third axle when the prime mover isn’t carrying loads also helps to improve operational flexibility as it helps with fuel saving as well as prolonging the lifespan of the rear tyres. 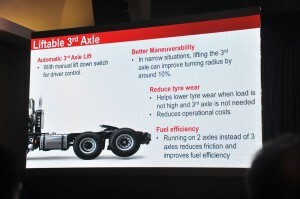 Lifting the axle also helps improve the turning radius. 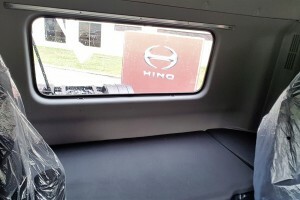 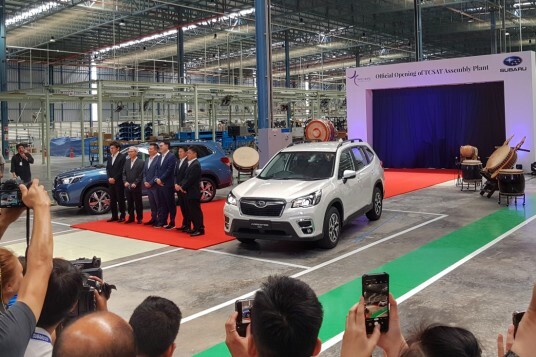 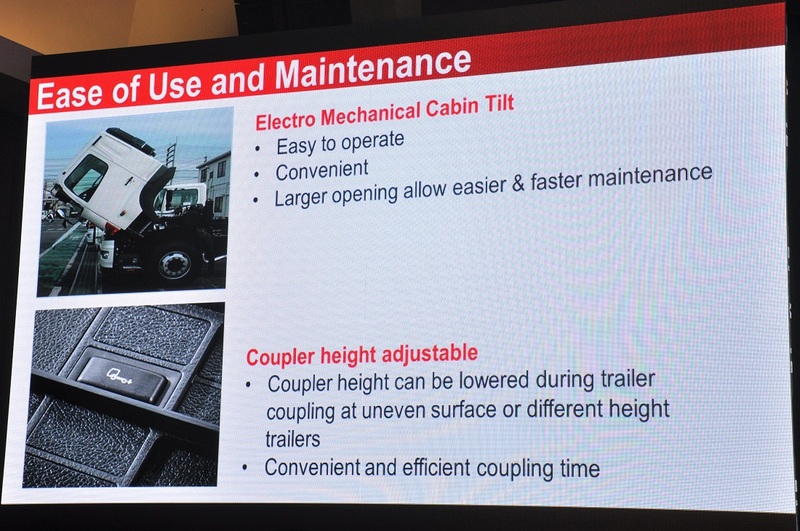 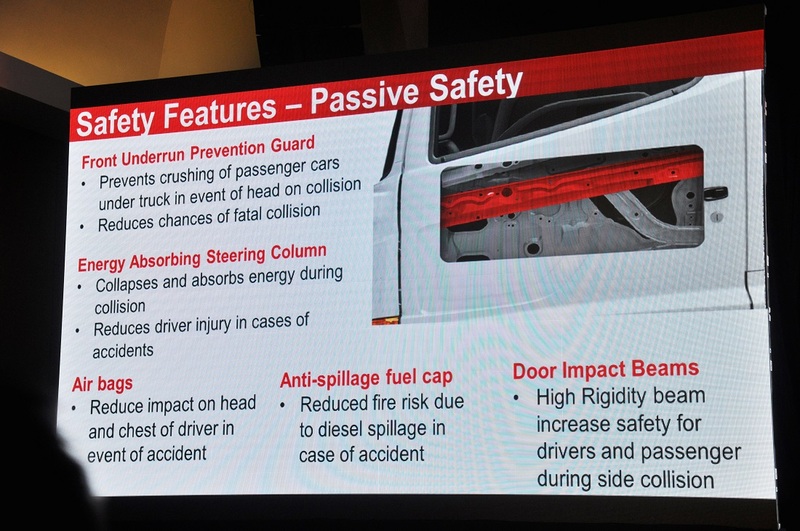 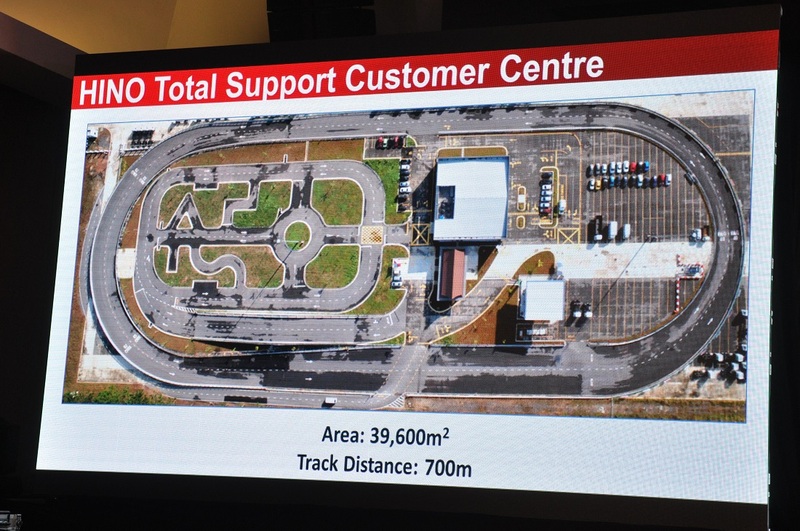 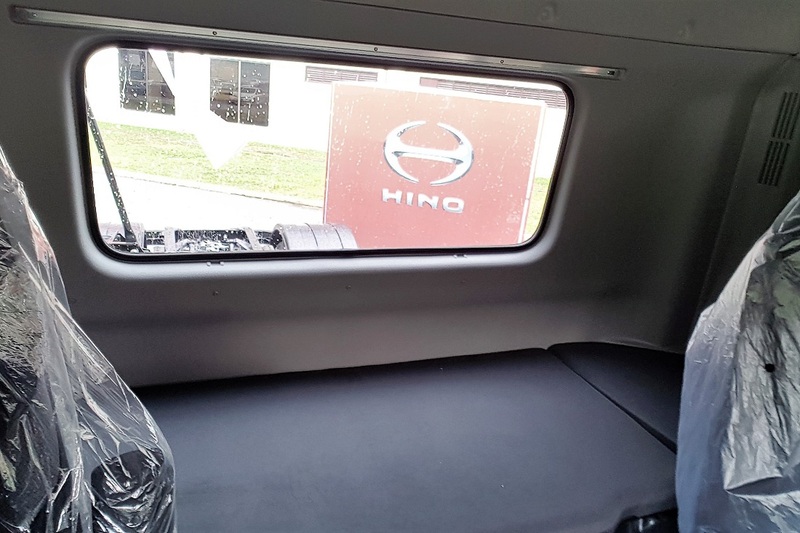 “Hino sees that Malaysia has the potential in developing continuous market field to commercial vehicle industry as the land route and ground transportation is the main distribution mechanism to most of the logistics industry in Malaysia,” said Ken Iwamoto, Managing Director of HMSM. 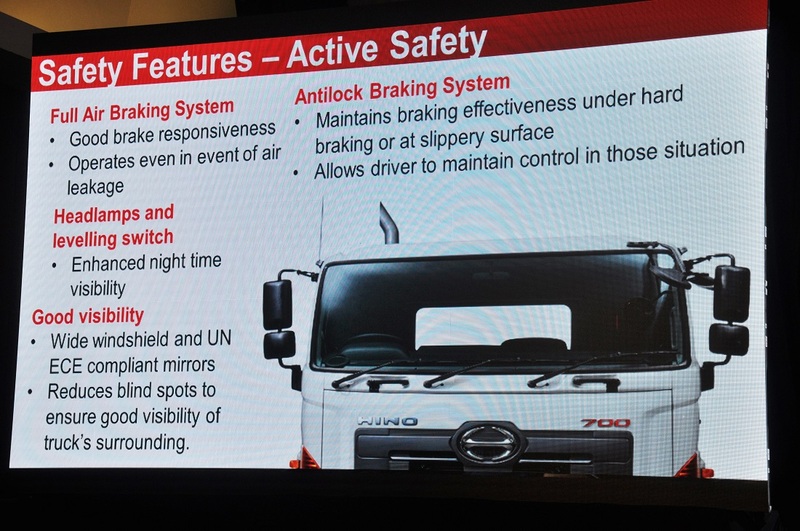 “The logistics and distribution industry is a timeless field of business, where it continues to grow within this advance era, and we, Hino, now presents enhanced tools to meet this demand and we have developed vehicles and solution to ensure sustained profitability,” he added. 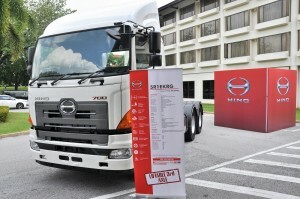 The Hino SR1E 6×2 is powered by a 12,913 cc Euro 3 6-cylinder common rail diesel engine with turbocharged intercooler. 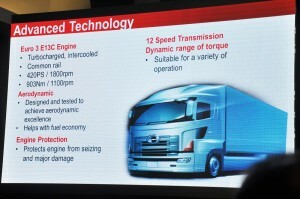 It has an output of 420 PS @ 1,800 rpm and 1,903 Nm of torque @ 1,100 rpm. 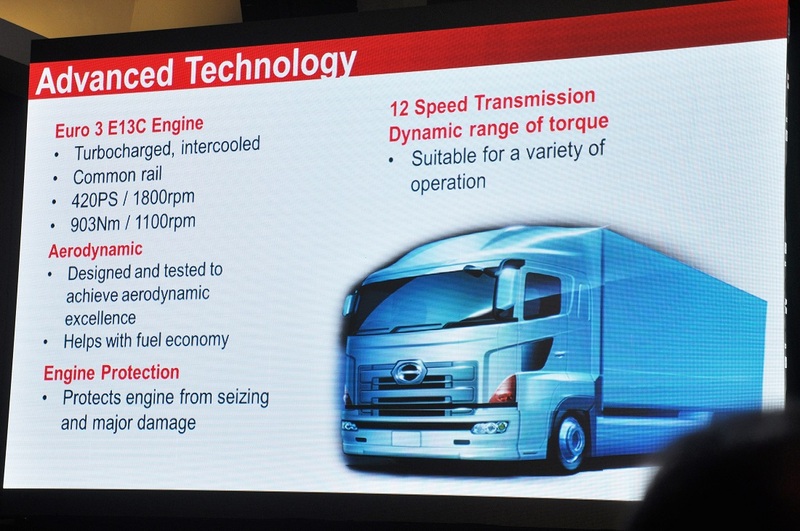 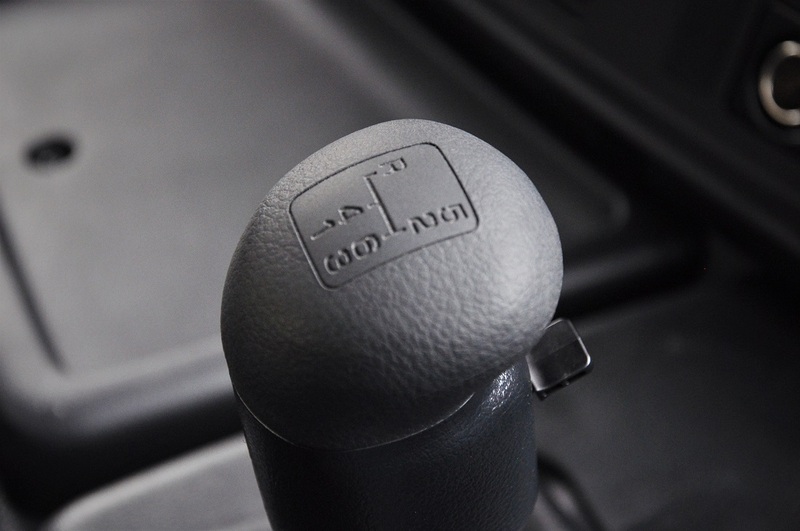 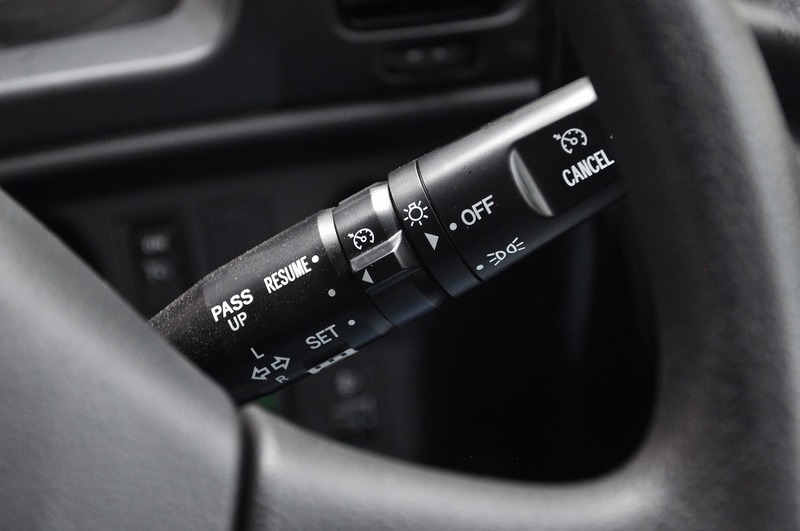 Power runs to a rear axle via a 12-speed manual transmission (with two reverse speeds). 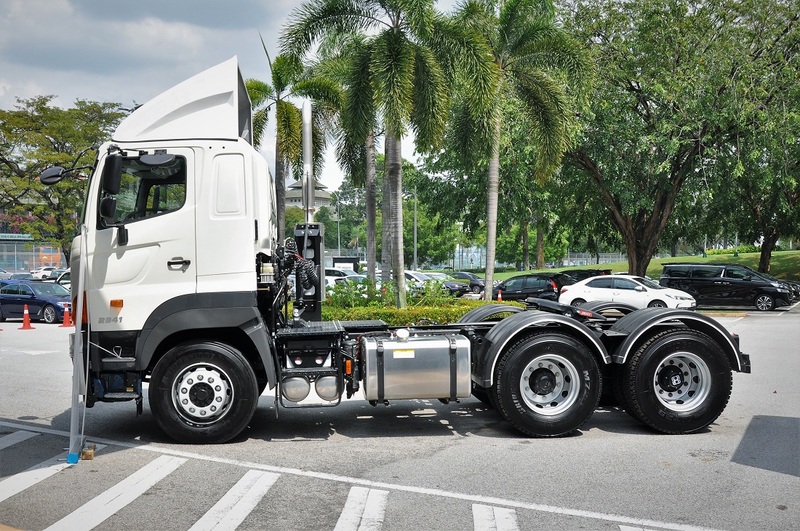 The SR1E 6×2 has a gross combination weight (GCW) of 66,000 kg (including cargo). 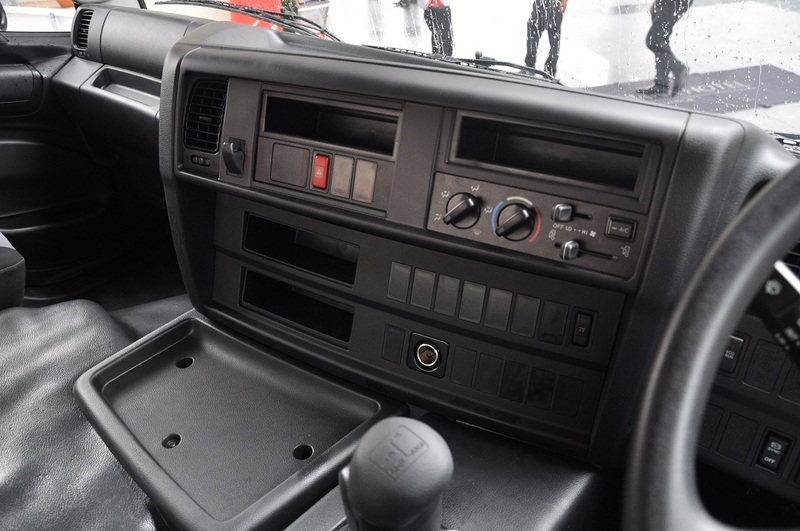 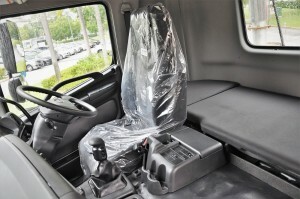 It is compliant with UNECE safety regulations and thus comes with Anti-lock Braking System (ABS), full air brake system, energy-absorbing collapsible steering column, SRS driver airbag, reflector headlamps with levelling switch, wide windshield and additional side mirrors, anti-spillage fuel cap, door impact beams, and front under-run prevention that prevents passenger cars from going under the front of the truck in a collision. 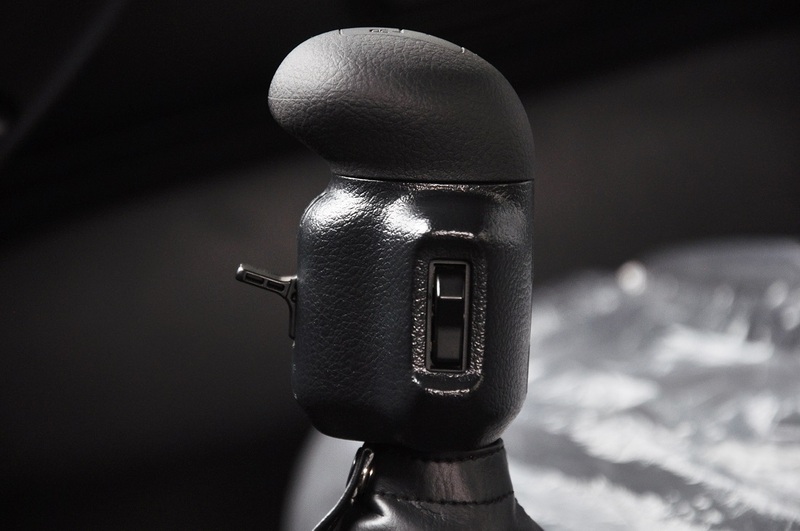 Comfort is an important aspect for long-haul drivers, and the SR1E is built with a high-functionality driver’s seat with air suspension designed to support the back and reduce fatigue and bumpiness. 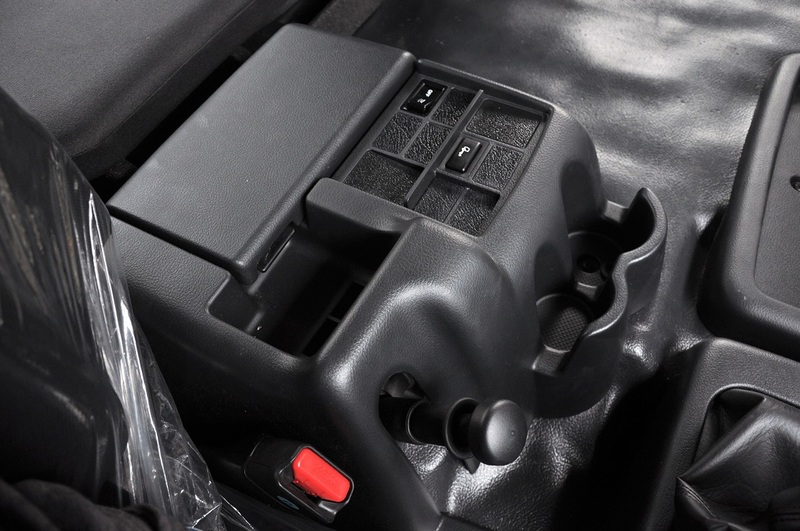 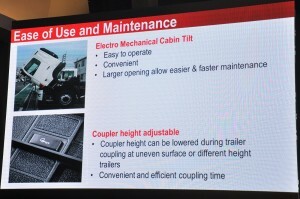 Cabin access is improved with the first ladder step connected directly to the chassis, making it closer to the ground. 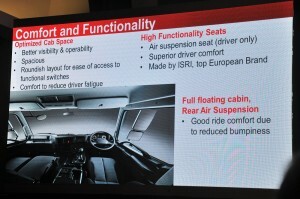 The larger door opening and footsteps also makes access easier. 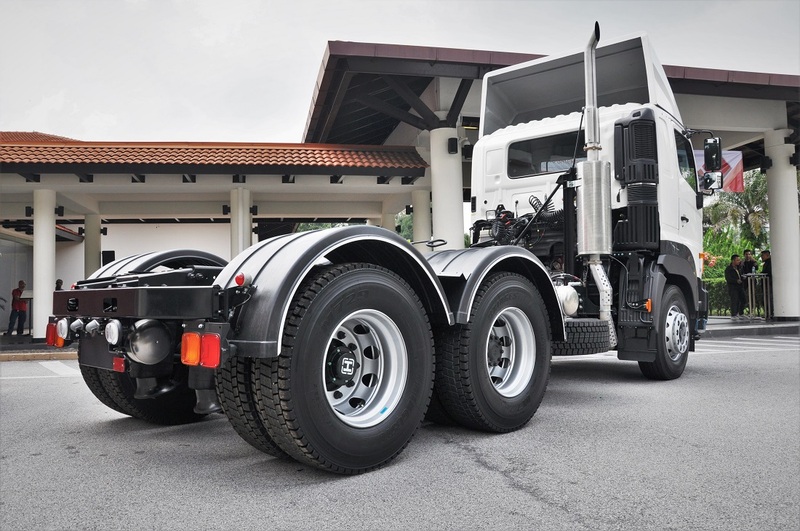 The SR1E 6×2 chassis nett selling price is RM353,000 (ex-KL) with 24 months / 200,000 km warranty on the powertrain and 12 months unlimited mileage warranty on the chassis. 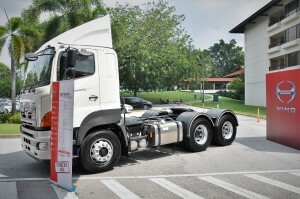 24-hour breakdown service is also available. HMSM also has established an ecosystem of after-sales services to aid its customers in performance optimisation. 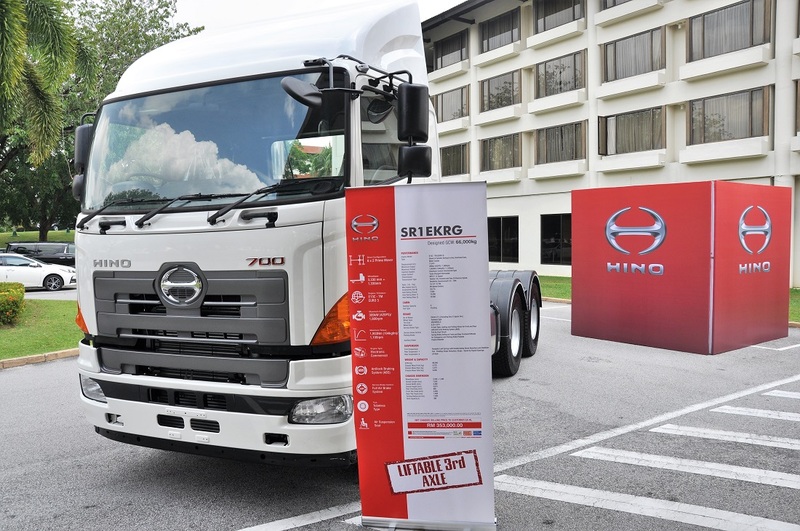 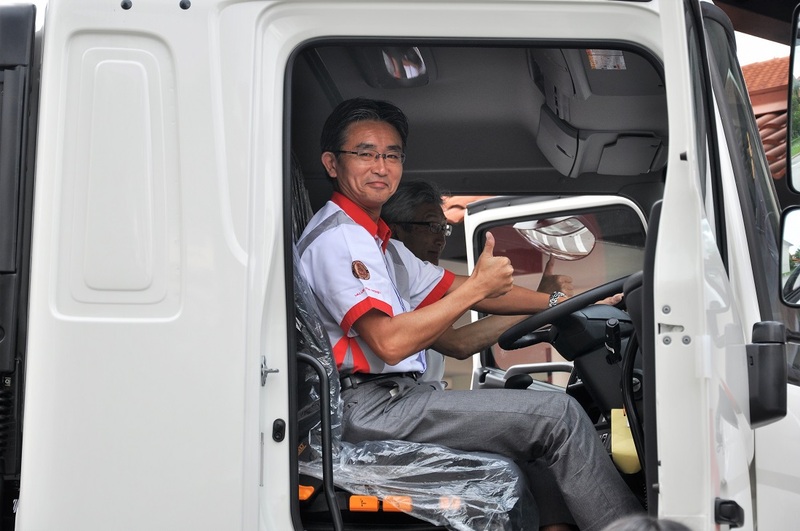 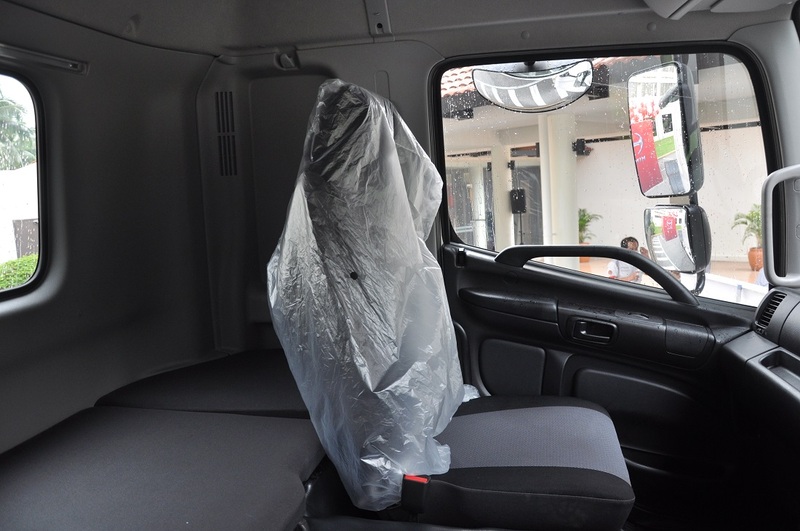 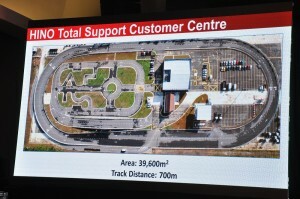 The Hino Total Support Customer Centre in Sendayan, Negri Sembilan provides safety training programmes for drivers (and owners) to learn safe and efficient driving. The training programmes are also HRDF-claimable. 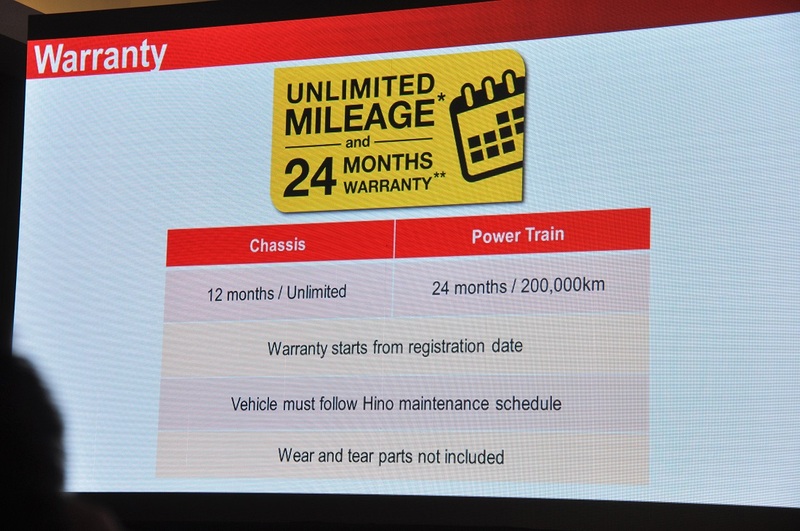 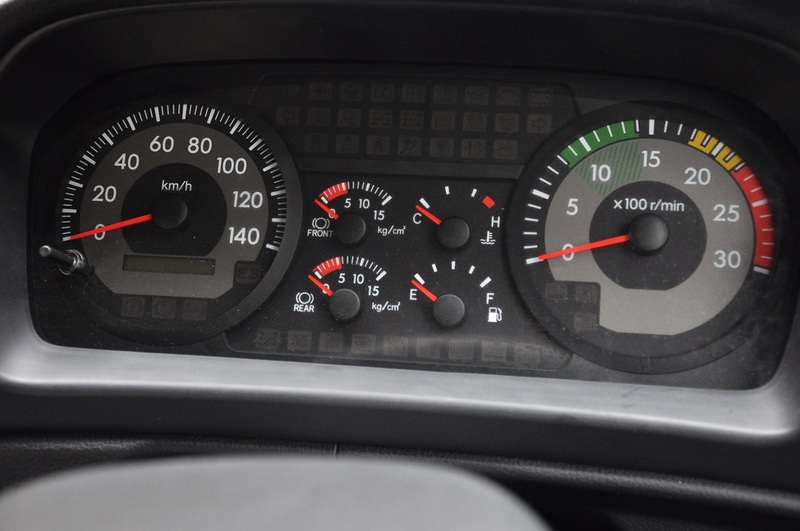 Furthermore, HMSM mentioned that all Hino vehicles are compliant with the B10 biodiesel and can run without any changes to components or service interval.